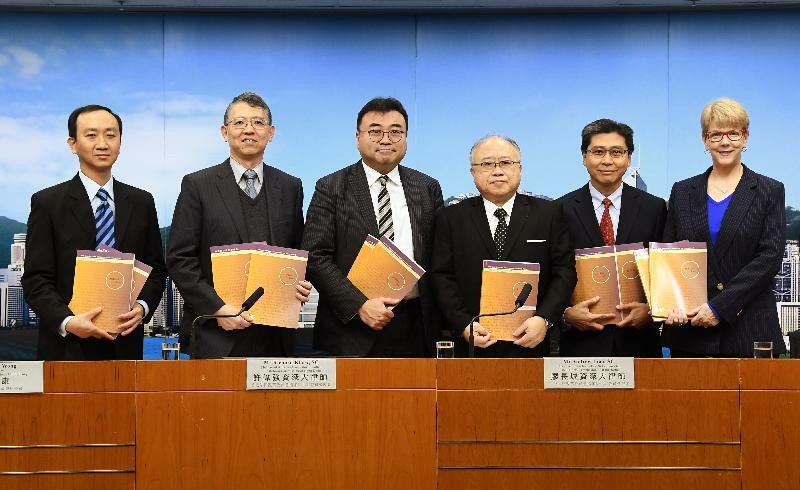 The Archives Law Sub-committee of the Law Reform Commission (LRC) released a consultation paper today (December 6) to invite public views on whether reform of the current public records management regime is needed, and, if so, what kind of reform is to be preferred. The Chairman of the Archives Law Sub-committee, Mr Andrew Liao, SC, said in the press conference that on balance, the Sub-committee's provisional views are that it does see a case for the introduction of an archives law to further strengthen the management, protection and preservation of public records and archives in Hong Kong. At present, government records and archives management are regulated under an administrative regime under which the Government Records Service (GRS) is the central records management and service agency. The Sub-committee has studied the laws and practices of a number of jurisdictions, in particular, Australia, England, Ireland, New Zealand and Singapore. A comparison reveals that almost all other jurisdictions, including these five studied more closely by the Sub-Committee, have in place archives laws of varying breadths and depths. "The Sub-committee considers there are considerations in favour of the enactment of an archives law in Hong Kong, but there are also practical concerns over its implementation," Mr Liao said. Do you think there is a case for introducing an archives law to strengthen the current public records and archives management framework and what are your reasons? Should the current placement of the GRS within the Government continue? Are the existing measures sufficient in ensuring bureaux/departments' compliance with their records management obligations? As regards the scope of public bodies to be covered, our provisional views are that it is more advisable to follow the approach in England, Ireland, New Zealand and Singapore, i.e. enumerating from time to time specific bodies that should be subject to the public records management regime. In respect of the extent of oversight by the archival authority, we consider that a "bespoke" approach is more appropriate. Do you agree with our provisional views? The Sub-committee welcomes views, comments and suggestions on any issues discussed in the consultation paper. All views should be submitted on or before March 5, 2019, to the Secretary, Archives Law Sub-committee, LRC, by mail (4/F, Justice Place, East Wing, 18 Lower Albert Road, Central, Hong Kong), by fax (3918 4096) or by email (hklrc@hkreform.gov.hk). The consultation paper and the executive summary can be accessed on the website of the LRC at www.hkreform.gov.hk. Hard copies are also available on request from the Secretariat of the LRC at the above address.